One of my favorite things about the blogging world are the recommendations and product reviews from other bloggers. Sometimes, the reviews introduce me to new products, and other times, well...I'm just nosy and enjoy reading what other people use! So when Jessica and I started brainstorming this Favorite Things Exchange, I was pretty excited. Excited to share one of my favorite things, but also excited to read about everyone else's! First up--my favorite thing. I make no secret of the fact that in the summers, I take two, maybe three, showers per week. I just hate blow drying my hair when I don't have to! Instead, I rely heavily on dry shampoo. Whether I haven't washed my hair for a few days (#noshame) or I washed it the night prior, slept on wet hair, and in need a little something, I use dry shampoo almost every day. 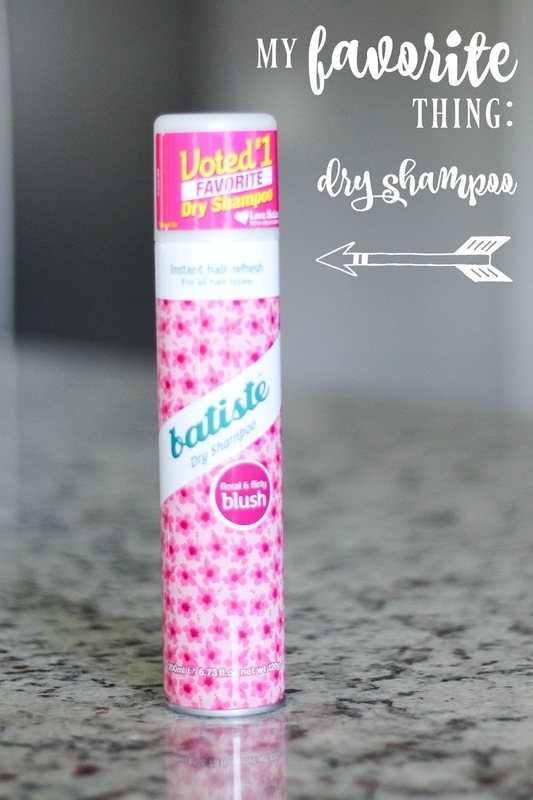 I've tried all kinds of salon-quality brands - Moroccan Oil, Hempz, and Amika to name a few, but for the price and quality, Batiste's drugstore version ranks at the top of my list. And if we're talking my most favorite, it would have to be the blush scent. It smells so darn good! Not only is this a quality dry shampoo (it doesn't weigh my hair down and doesn't leave it feeling full of product), but it won't break the break ($5 to $8 per bottle) and it doesn't require an extra stop at the salon/beauty store to purchase (sold at both Target and Walmart). Win, win, win. Thank you to all who participated and don't forget to link up and share your favorite thing using the widget below! You can also share what you received, but it's not required. And if you'd like, you can post your favorite thing to Instagram using the hashtag #favoritethingsbloggerexchange. Such a great idea for your favorite thing. It's funny you love and chose that dry shampoo. I received that at the Favorite Things Party I hosted in May at my house. I need to try it out. I had so much fun with this exchange. So excited to do another one with you! LOVE batiste dry shampoo!! I also take limited showers in the summer - ain't nobody got time to blow dry hair everyday! 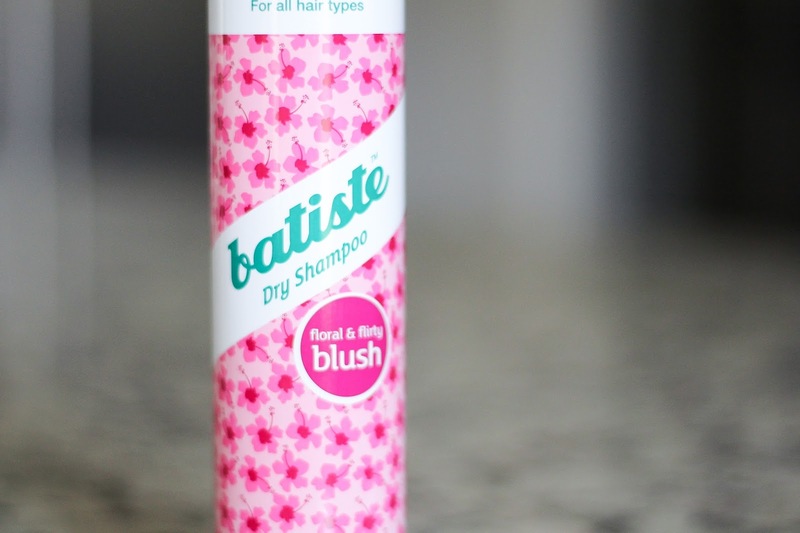 I haven't tried this dry shampoo yet, but I definitely will now. I love using the dry shampoo after the gym. I shower my body, but hate washing my hair that much, so dry shampoo to the rescue. No shame. Dry shampoo was a perfect pick to send. There are so many different brands to try and I want to try them all! 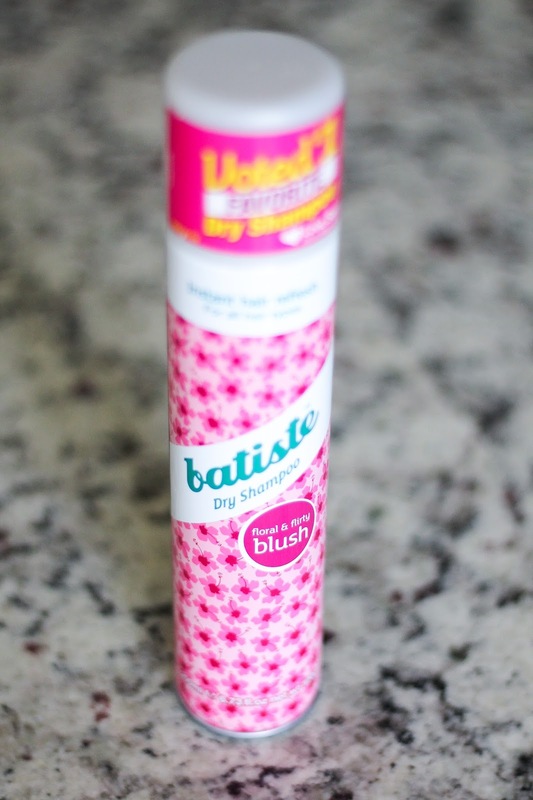 Love batiste! I need to link up my post that is going live tomorrow! I love the dry shampoo. 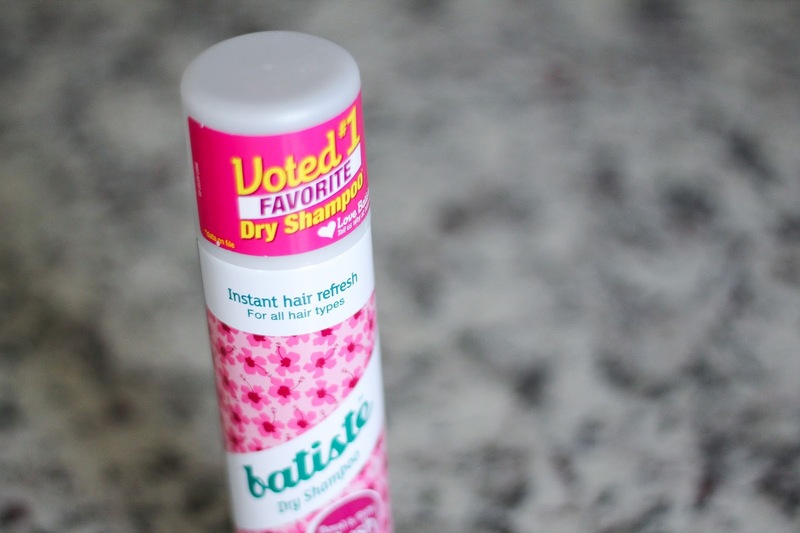 I use dry shampoo several times a week and I like to test out different brands. I actually used this one today! Thank you so much for sending me your favorite thing and thank you for hosting! I love their dry shampoo! I have this scent in travel size! I guess I should try that dry shampoo! I just got living proof that everyone swears is the bomb. honestly, I wasn't too impressed. I have never tried it but you definitely gave me great reason to! I hope you like your goodies I sent you!! They are truly my favorite things. I JUST added this to my cart. I'm always searching for a good dry shampoo (if I wash my hair three times a week it's a Christmas miracle), and I have yet to find one I like. Totally giving this one a shot! I always see this one at target and heard great things about it! I will definitely be trying it out. The last one I bought I didn't like. I love the idea of this exchange too. I always find new things out from bloggers I never even knew existed. I love Batiste. Have you tried the Cherry scent? Love it! And supposedly there is a specific one for blondes, but I can never find it.